Yesterday, the Anaheim Ducks celebrated its 25th anniversary during Anaheim Ducks Day at Disney California Adventure park! 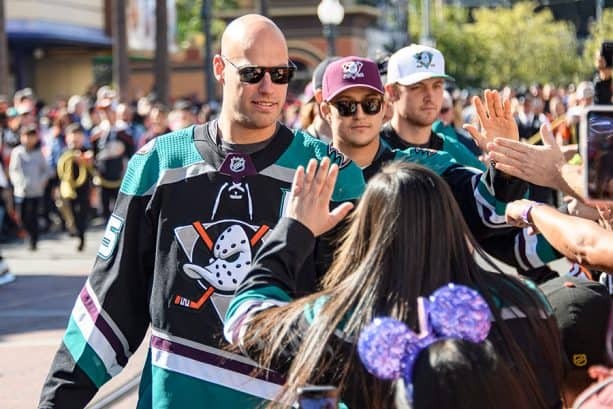 The Anaheim Ducks took over Hollywood Land where fans enjoyed a cavalcade with players, meet and greets, hockey-themed activities, photo opportunities, special exhibits and more! Some players even checked out Pixar Pier for a photo opp with our favorite Disney duck. Yesterday, the Anaheim Ducks celebrated its 25th anniversary during Anaheim Ducks Day at Disney California Adventure park! The Anaheim Ducks took over Hollywood Land where fans enjoyed a cavalcade, player meet and greets, hockey-themed activities, photo opportunities, special exhibits and more! Some players even checked out Pixar Pier for a photo opp with our favorite Disney duck. Check out highlights from the day in the video below! Did you join us for Anaheim Ducks Day?